Bask in nothing less than pure pleasure and adventure during your holiday in Bohol Sea Resort in Panglao Island, Philippines. We welcome you with a private beach line in Danao Beach, a convenient jump-off place for diving. Bohol Sea Resort presents a favorable base for those who seek to explore Panglao’s famous diving spots with ease. Our PADI-accredited dive center offers guided tours to Arco Point, Doljo House Reef, Balicasag Marine Sanctuary, Habagat Wreck, and more. 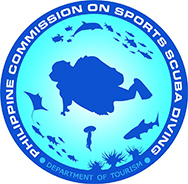 Bohol Sea Resort’s dive center offers a complete range of courses and trainings for beginners and certified divers. We follow the standards of PADI international organization. All courses include boat trips and equipment rental. Roughly 250 meter offshore from the resort, we can already explore a fascinating, species-rich house reef with a coral wall that is the home to special critters, nudibranch, and slugs. 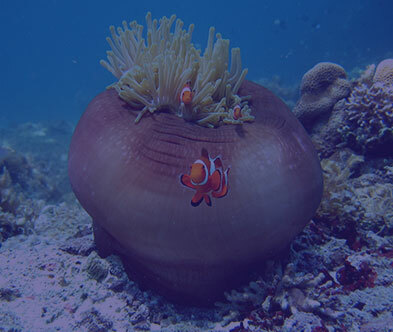 We also have regular diving trips to the islands of Balicasag, Pamilacan and Cabilao. Each bungalow at Bohol Sea Resort Panglao is designed to deliver modest comfort and style. 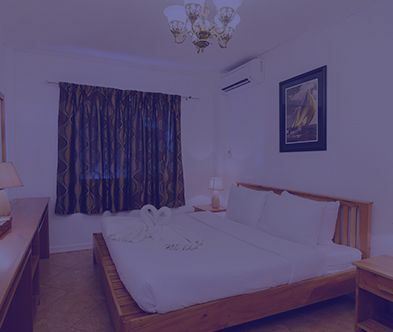 All rooms are complete with key amenities, such as an air-conditioning, mini-bar, satellite TV, safe, private bath, and free Wi-Fi Internet access. Slippers, toiletries, and hair dryer are also provided. Take delight in a set of practical facilities and services we have tailored to let you soak in convenience. We take care of your recreational needs with a private area in Danao Beach Panglao and an outdoor swimming pool. Bohol Sea Resort also offers a restaurant with a decent menu and excellent classic cocktails. Our dive shop is managed and operated by experienced, German- and English-speaking instructors. Personalized teaching methods and our spacious training pool make for safe, relaxed, and comfortable diving courses. In order to provide secure and high-quality diving experience, Bohol Sea Resort Panglao ensures that all dives are done in small groups. The property also provides an affordable accommodation. Each bungalow features a warm, home-like interior fit for a humble lifestyle. For more fulfilling island getaways, our restaurant serves an International spread with Asian specialties. Moreover, we afford an expedient location that is very close to Alona Beach and just a 30-minute drive away from the Tagbilaran Airport. 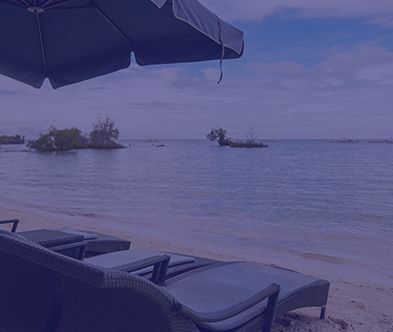 Simply put, Bohol Sea Resort lets you be lost in bliss as you experience the charm and beauty of Panglao. Excellent Location, quiet nice atmosphere Rating 5/5 We first booked just for 2 nights and extended the stay to 12. Location is just a 5 minutes ride away from Alona beach and 10 to Dumaluan, two of the best beaches of the island. The place is very quiet, no street/car noises or live music sounds as in many other close by hotels. Our room was small but very cozy and clean. The staff was super friendly and helpful. There is a nice outdoor restaurant with a decent menu and excellent classic cocktails. The pool area is spacious and there is even an access to the beach. Very good value for money, absolutely recommendable! Quiet Rating 4/5 We spent 2 nights at Bohol Sea Resort. We chose the big bungalow (a bit more expensive of course), really very good, spacious with a large bathroom. The pool is ok with lounge chair and towel available. The breakfast is ok. The staff is lovely. We walked to Alona Beach (About 1km). I recommend this hotel. Excellent service, good value for money Rating 4/5 We loved their service; very courteous and accommodating staff. Their rooms are clean and comfortable. The location is not very accessible but tricycles can be rented for 100 pesos to reach Alona Beach. Generally, we enjoyed our stay because it’s peaceful and not too crowded. Nice Resort Rating 5/5 Stayed here twice on my trip to the Philippines. It’s a very nice place to stay at. Close to Alona (5min by scooter). Good diving center with very nice crew! Very nice bungalows! Good night sleep (it’s quiet). Good service! Great Resort Rating 5/5 This resort is awesome! What I love about this place is that the rooms are clean and tidy. The location is perfect, it is quiet and just a few minutes from Alona beach. The food and drinks were ok but I love that they served proper coffee. A brilliant hotel, with amazing staff. They were all lovely from the moment we arrived, always helping us and very chatty. The room was basic but great, had everything that you would need. The pool was brilliant to have as well. The hotel is a little way out of town, you would have to get a taxi/motorbike into town, but it’s only a few minutes’ drive away. You’ll find restaurants, bars and shops in town and it’s quite lively. There is a main strip that leads onto the beach. However, we ate at the hotel a few times and the food was always good. They also have happy hour, which is fab! There is a dive centre in the hotel, which was great. We booked a snorkeling trip through them as well as a boat across to Oslob (Cebu). We also rented motorbikes one day and went exploring which was good fun - the staff at the hotel helped us book this. The resort is nicely laid out, quiet, lots of plants, beautiful green, directly on the beach (Danao Beach). In 3 minutes (100 peso / ride a tricycle) you are at the Alona Beach - very touristy but nice beach. The rooms are pleasantly quiet, have a modern air conditioning, a good shower, comfortable beds, a closet with a safe and enough space. Each room also has a small balcony with table and chairs. The restaurant is open 24 hours, all a la carte menu, the food is okay, they give a lot of effort. There are also good European / Western alternatives. I had a vegetarian often small extra wishes, they have very friendly met. Very positive to mention is the staff that is incredibly nice, helpful and accommodating! The dive crew is great, very professional, honest, helpful and super dedicated. We found it very pleasant to live not in the tourist hot spot, the resort is close enough and at the same time far enough away so that you really have peace and quiet! All in all very recommendable! Small quiet hotel with a nice pool, comfortable rooms with direct access to the sea. The hotel is a bit out of the city Alona but it helps to stay away from the hustle and bustle. The ideal is to rent a scooter to get to restaurants in the center or walk for 15-30 minutes depending on destination. The staff is always available and very friendly. They will help you best for your different demands: excursions, restaurant reservations, scooter rentals. Balicasag Island is 30 minutes by boat from the hotel to the beach and they regularly organize snorkeling excursions around 500p per person. Excellent value - price.